Carter Universal In-Line Electric Fuel Pumps are a built with quality and longevity in mind. The in-line pump program features unique innovation and solutions by offering premium form and function; as well as exceptional application coverage and exclusive problem-solving features. Carter Fuel Systems in-line design pumps are battle tested and proven as well as available for most EFI applications including, turbo and supercharged vehicles. 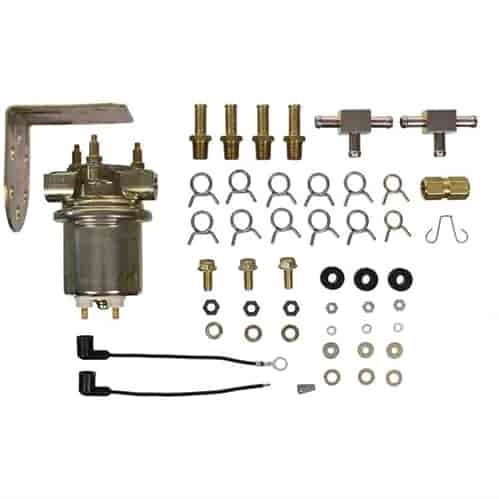 P4602RV - Carter Universal In-Line Electric Fuel Pumps is rated 5.0 out of 5 by 1. Rated 5 out of 5 by Fsjack from Pump for motorhome Perfect match, fast ship, very pleased, I plan on being a regular customer. This is a continuous flow rotary vane pump.